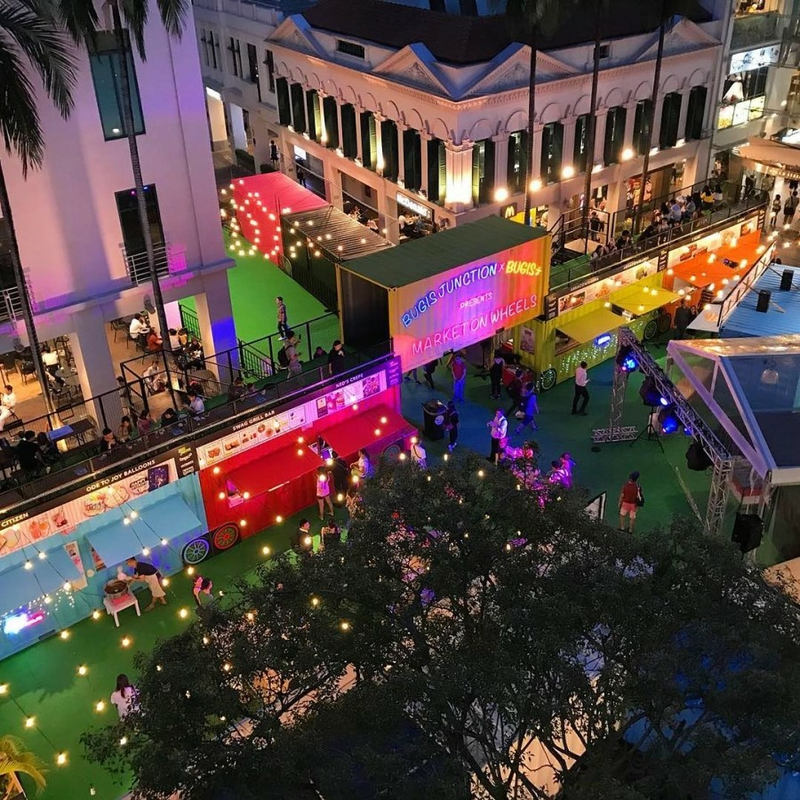 It’s pretty clear that Singaporeans love pop-up markets. #foodporn, great music, and hipster neon lights - these 3 provide a not-so-secret combination that attracts throngs of millennials wherever found. 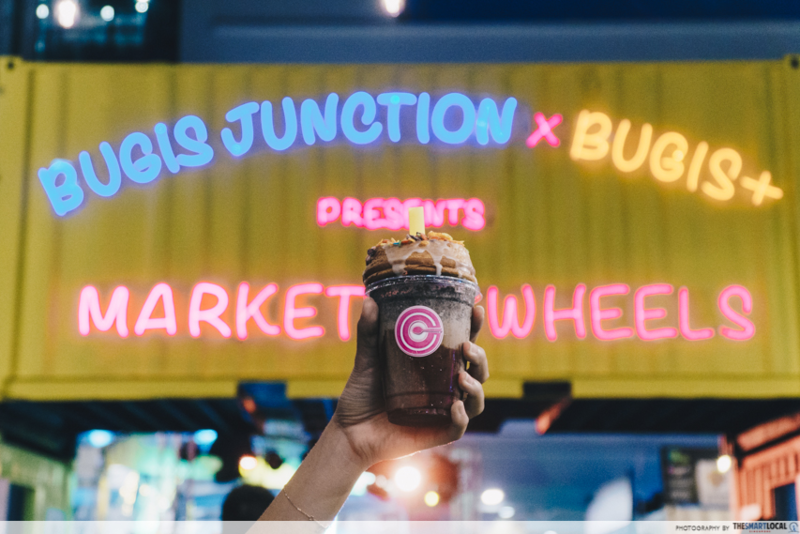 Bugis Junction x Bugis+ presents Market On Wheels - a container pop-up market with, of course, street food, live performances, and photo ops for IG - rumour has it there’s even a neon swing. Oh, and with it being the World Cup season, there’ll be screenings of the matches, with beer promos going along with it. Getting there is a breeze too. 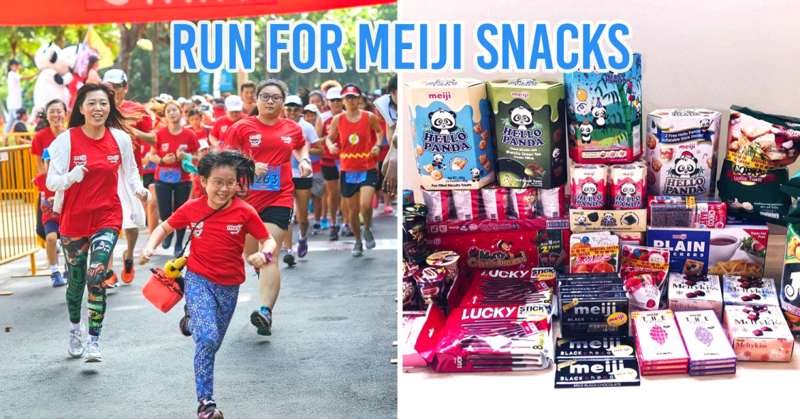 Market On Wheels is located just a minute’s walk from Bugis MRT! You’ll find it at the iconic fountain in the middle of Bugis Junction. If the IKEA hotdog and a gourmet burger joint had a kid, Three buns would be it. 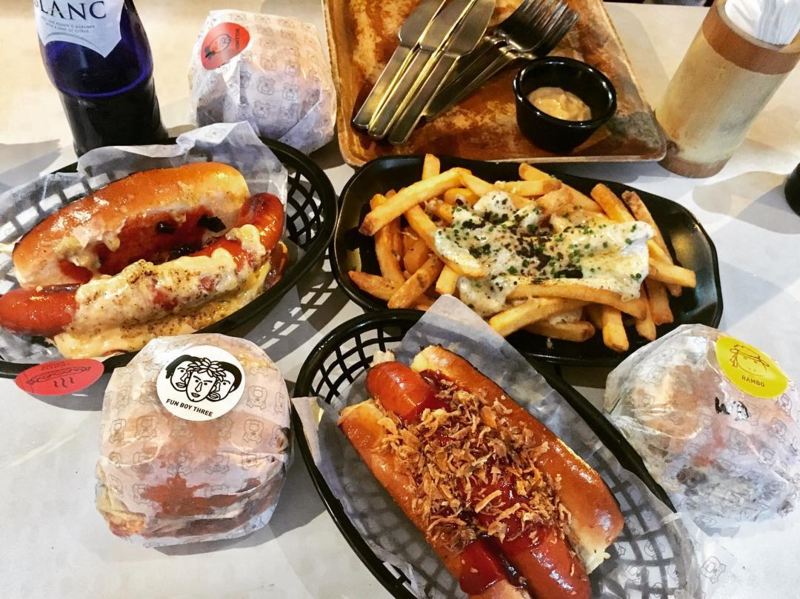 Hotdogs are taken to the next level with creations like the Truffle Hound ($12) that features a 100g beef frankfurter, roasted Portobello mushroom, garlic and miso butter, truffle aioli, melted truffle cheese and oil all in one toasted butter bun. Just take my money. If you’re looking for something less heavy, the Cheeken ($6) is a simpler, but equally lip-smacking choice. It includes a smoked chicken frankfurter, mayo and melted smoked cheddar in a toasted butter bun. 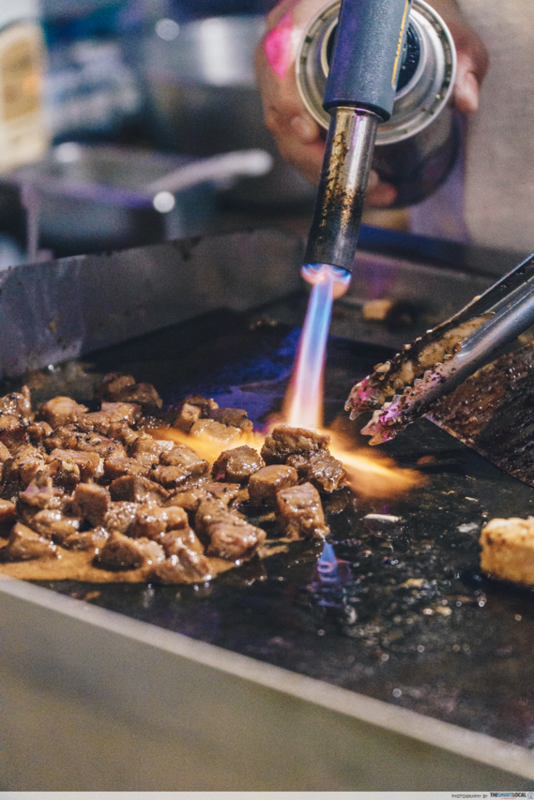 Swag Grill Bar will send your taste buds into gastronomical paradise with treats like Grilled Ribeye Beef Cubs ($10), Torched smoked duck Mentai ($8) and Garlic Parmesan/Truffle Fries ($8). Beef. Mentaiko. Truffle. Need I say more? 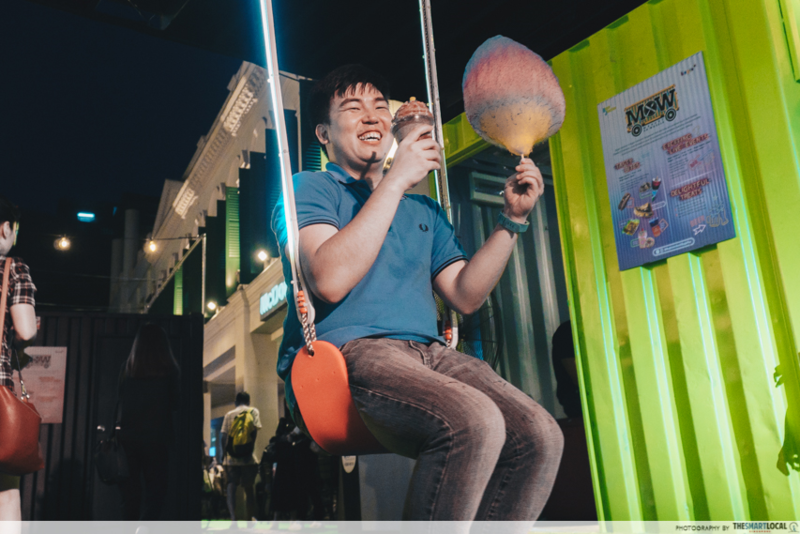 Catch the folks behind Cereal Citizen sweating it out to bring you their signature Crododo, a cross between a croissant and a donut ($5.90), Milkshakes ($6.50) and Cotton Candy ($6). 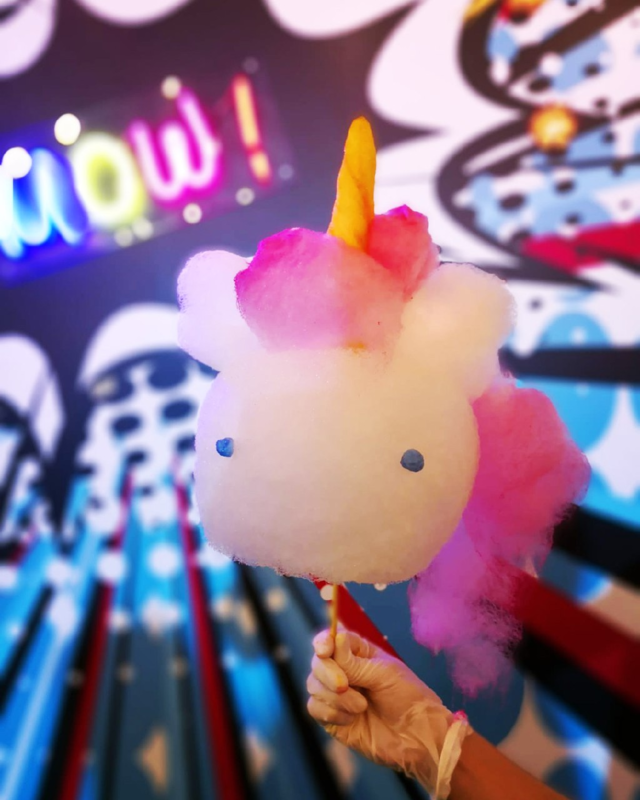 They’re back at Market On Wheels with new uber cute creations like the Unicorn Cotton Candy, that’ll only be available on weekends. Whip out your cameras cuz the seating area of Market On Wheels has a neon light exhibit and a neon swing below the main signage. 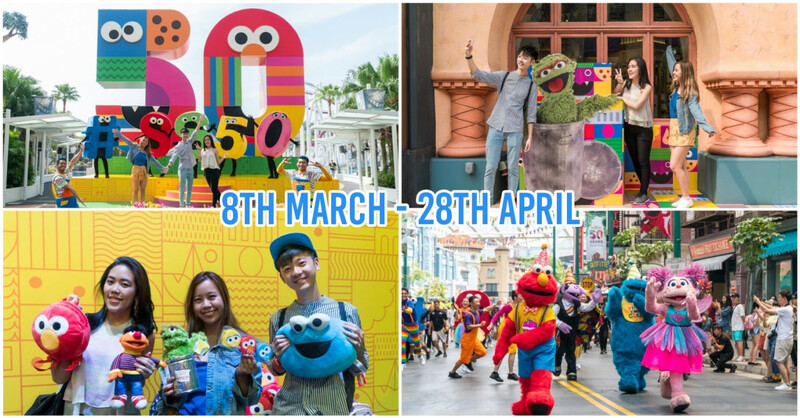 Well, here’s your excuse to go wild and flood your IG feed with those pics! 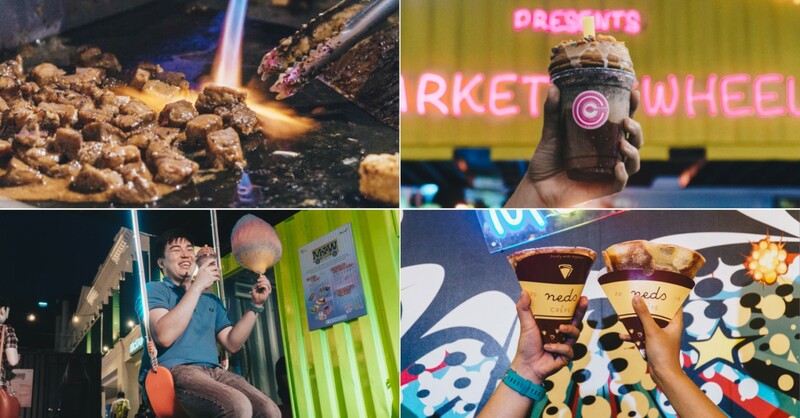 Once you’re done with your photoshoot and are ready to dig into all the grub, you’ll be glad to know you can sit back and enjoy your milkshake or beef cubes while enjoying an array of live performances, which will be taking place during the weekends! Chill vibes, good food and a couple of buddies = the perfect formula for a good night out. World Cup 2018 is here, and this is an exciting time for all football fanatics. You’ll be able to enjoy everything Market On Wheels has to offer, without having to rush back to catch a match, and screenings will be played throughout the day! Plus, you’ll get to meet fans from the same camp and scream “GOALLLL!” together. Stay tuned to Bugis Junction x Bugis+’s FB page for the screening schedule. The news only gets better. You can get 1 Carlsberg beer or cider for $8, and 5 for $35. 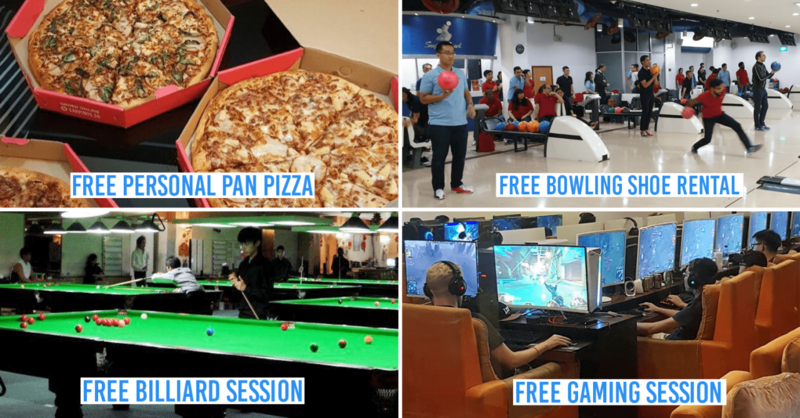 Time to jio all your buddies out! What’s more, you can redeem a $5 Market On Wheels e-voucher with 1,500 STAR$ via the CAPITASTAR App*. *You can earn STAR$ by scanning your receipts from CapitaMalls on the app. While stocks last. 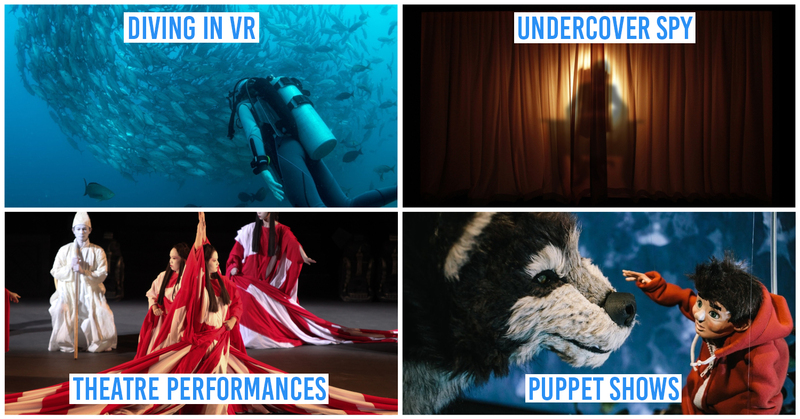 There’s something about pop-up events that makes it so exciting. Maybe it’s the congregation of tons of yummy food, or perhaps it’s the knowledge that it won’t be around forever that calls for an immediate visit. Whatever it is, it always promises a good time. You can pop by with your colleagues after work, or plan an outing there with your friends over the weekend without travelling across the whole island - thanks to the central location at Bugis. Find out more about Market On Wheels here! This post is brought to you by Bugis Junction X Bugis+.